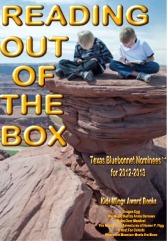 2nd Runner Up for the Texas Bluebonnet Award! Audrey Hepburn was growing up in Europe in war time. Because she was a tall, big-eyed child with a long neck, some of the girls laughed at her. She dreamed of becoming a ballerina. Her life was threatened by World War II. What do you think she and her family did? How do you think they survived? After the war, Audrey and her mother moved to London. She had grown taller. Her dream of becoming a ballerina faded. What new dream do you think she had? to star in his new Broadway play in New York? He said she had that jen ne sais quoi. Do you know what part she was hired to play? fell in love with a journalist. Do you know the name of the movie in which Audrey played a princess? From Broadway to the big screen, Audrey worked hard to do her very best. She became a famous actress, but her best pay was the love of her fans. Audrey Hepburn dreamed of getting married and having children. Did this dream come true, too? She never changed and always was an inspiration, "just Audrey." Everyone wanted to be just like Audrey. She became an icon, but never thought of herself as one. With all her fame and fortune, Audrey Hepburn did more important things that saved the lives of many children and showed others how to be kind, simple, and caring. Just Being Audrey is the picture book biography that celebrates her life and showcases the best of Audrey Hepburn. The Kids' Wings literature guide for Just Being Audrey invites group discussion, research, problem solving, authentic writing, skill building, and culminates with interactive Jeopardy-type game. Teachers who want students to enjoy the biography of this celebrated actress with a big heart will want make this book part of their classroom libraries. A 11-page Kids Wings unit, perfect for lesson planning and handouts or projection on your SmartBoard for Just Being Audrey is now available for instant download! Just Being Audrey is included in the Kids Wings Reading Out of the Box collection of literature guides for award-winning novels and intermediate-level picture books. This collection comes in a spiral-bound book with CD and site license for one school. It contains 848 pages of activities in 25 titles PLUS a "Jeopardy-type" game for each novel! You can purchase a literature guide individually for around $12.95, but if you order Reading Out of the Box, you can get 25 literature guides for only $35, or less than $1.40 each! This is probably the best bargain in the USA, while quantities last! his beautiful original composition "My Only Love" as our background music. Buy Just Being Audrey NOW!